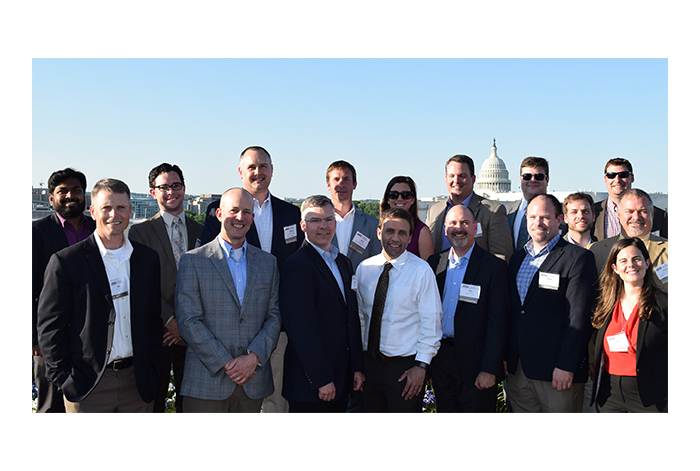 The ARTBA Transportation Development Foundation (ARTBA-TDF) is accepting nominations for its 2018 Industry Leader Development Program (ILDP), May 14-16 in the Nation’s Capital. The application deadline is April 16. The ILDP and its associated Industry Leader Development Council (ILDC), boasts of nearly 700 graduates from 200 companies, state contractor chapters and public agencies during the past 22 years. The immersive, two-and-a-half day ILDP provides an understanding of industry economics, how transportation work in the U.S. is funded and financed, how actions by the federal government impact the industry, and how to become politically engaged to help shape transportation policy. ILDP fellows also visit with their members of Congress to discuss pending transportation investment and policy issues. The ILDP is held in conjunction with ARTBA’s annual Federal Issues Program (FIP) and the Transportation Construction Coalition (TCC) Fly-In. More information is available on the ILDP webpage, including the nomination form. Contact ARTBA’s Nick Goldstein at 202.683.1005 with questions.